Welcome to my aeromodelling web site! 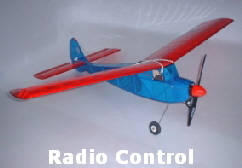 I am interested in all aspects of aeromodelling - particularly Free Flight and Radio Control. It is these two branches of aeromodelling that I will be concentrating on. I have split these into two distinct paths for no other reason than ease of navigation - we are one big happy family really aren’t we?! (I also have fond memories of control line flying in my younger days - I just have nothing to show for it). 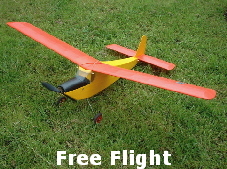 I will feature many photos and video clips of other peoples models and various events - these have all been taken by myself or submitted for use in this web site by other modellers - please contact me if you feel that there is anything that should not be included. If you wish to use any of the content of this website, at least give credit where it’s due!